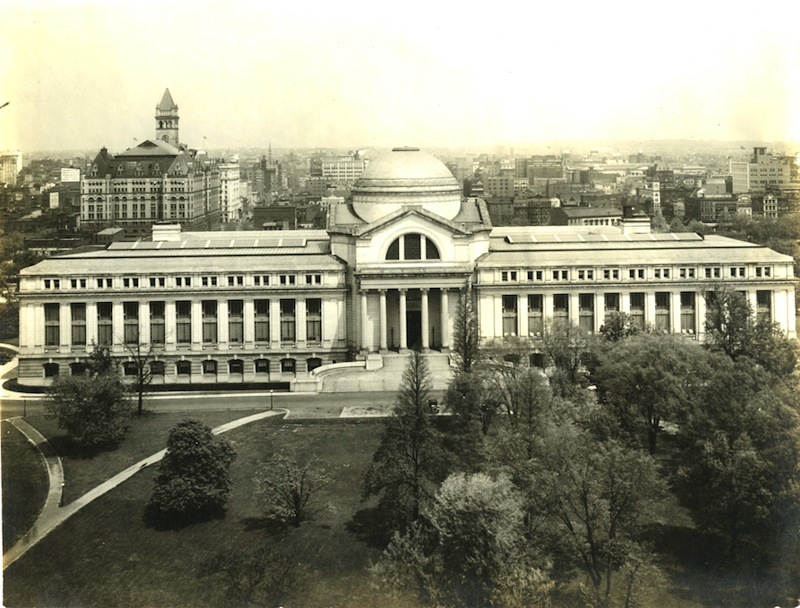 Joseph Coerten Hornblower et al., “National Museum of Natural History,” Histories of the National Mall, accessed April 22, 2019, http://mallhistory.org/items/show/55. 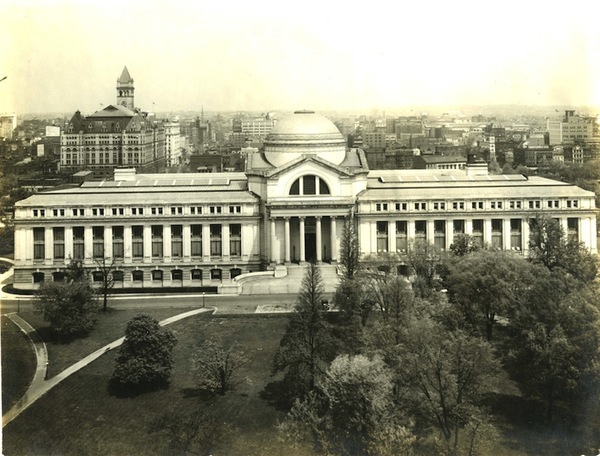 First known as the new National Museum, the National Museum of Natural History's building opened in 1910 after nearly 10 years of construction. The Museum's Beaux Arts design features a domed rotunda, columns, and a portico. The Museum first housed art, culture, history, geology, and natural history collections until the 1960s when the Museum of Natural History became a separate museum. Today, it is one of the most visited museums in the world, and displays such diverse objects as the Hope Diamond, a complete Tyrannosaurus Rex skeleton, and a live butterfly collection.